Brisbane City Council will not allow any traffic from a proposed new mega-suburb on to Mt Nebo Road – and ultimately on to the already congested Waterworks Road – when it considers the case for a $900 million project on Tuesday. In July developers suggested two roads from the proposed mega-suburb, located between The Gap and Upper Kedron, join Mt Nebo Road, which is a single-lane bushland road that fringes D'Aguilar National Park. However, the developer's own development application warned the two road connections to Mt Nebo Road could increase the frequency of koalas being hit by cars. "Of greater significance is an increase in vehicles movements on Mt Nebo Road, increasing the potential for vehicle strike on conservation significant fauna, such as the koala," a study said. National Parks Minister Steve Dickson raised concerns about the impact on koalas after being questioned by Fairfax Media in July 2014. Residents believed up to 40 per cent of the traffic from the proposed mega-suburb could have used the link to and from Mt Nebo Road, ultimately running through The Gap and Ashgrove. The $900 million project is controversial because the 227 hectares of land used to establish the mega-suburb was sold by prominent LNP donor, Ian Macallister to West Australian property developer Cedar Woods in May 2014. The council signed an infrastructure agreement with Ian Macallister, a long-time LNP donor three months earlier, in February 2014. Without the legally binding infrastructure agreement, the Upper Kedron property's unimproved capital value was just $2.5 million, according to Brisbane City Council's calculations. Subsequently - in June 2014 - Cedar Woods lodged a development application for 1350 lots over the 227 hectare site in the face of opposition from local residents. Residents complained the plan proposed too many houses on the cleared bushland and that it would cause major traffic congestion on Mt Nebo Road, which flows onto Waterworks Road. About 90 hectares of conservation bushland is included on the original plan around Mt Nebo Road, however the creation of two roads roads linking to Mt Nebo Road was part of the original application. In September 2014, Save The Gap residents' group president Shane Bevis said the initial application was greedy and ignored residents' views. About 1000 objections were lodged. "Rather than low density and acreage allotments, they are proposing a greedy land grab and trying to convince us it's primed for a whole new suburb," Mr Bevis said. "We are very concerned the Lord Mayor not just welcomes the development but has signed council up from the start to master plan for a community when he knew full well the land was not zoned for that." However the Cedar Woods application which will appear before the Neighbourhood Planning sub-committee on Tuesday will not include any road links to Mt Nebo Road. Committee chair Cr Amanda Cooper said vehicle access would be through Canvey Road to Upper Kedron in the north of the site. Cr Cooper said the major road and intersection upgrades would be undertaken by the site owner, developer Cedar Woods. "There will be no traffic access allowed through Mt Nebo Road," she said. Today's Neighbourhood Planning and Development Assessment Committee is expected to recommend that the first two stages of Cedar Woods' 10-stage development are approved at next week's Brisbane City Council meeting. The first two stages include 326 blocks of land, just under one–third of the maximum 980 lots. The committee's Chairman, Councillor Amanda Cooper, said the former Labor state government identified the land for development in its South East Queensland Regional Plan 2009-2031. She disagreed the land was not suited to residential development and said most of the proposal was for low-density residential living. "This development will deliver a high quality master planned community just 13 kilometres from the Brisbane CBD as demand for housing stock continues to increase," she said. "Approximately 137 hectares of the site have been earmarked for low density residential development with a variety of housing lots, which will help cater for an increasing population." Cr Cooper said the development would see more than 90 hectares of land dedicated to the council for conservation and recreational parkland. "This land will be handed to the people of Brisbane to ensure ecological corridors are maintained through the site," she said. "A number of the ecological corridors will be rehabilitated, protecting important fauna links." The 40-hectare stage one area includes 146 lots – ranging in size from 300 square metres to 799 square metres – and a convenience store on the corner of Canvey Street and Leavitt Road in Upper Kedron. The second stage includes 180 lots ranging in size from 300 square metres to 1972 square metres. Deputy Mayor Adrian Schrinner on Monday said the issues covered in the 1000 objections would be covered at Tuesday's committee meeting. "That will come up at the planning committee and there will be a thorough debate at the planning committee and the full council the following week." Reading this is a bit sad. 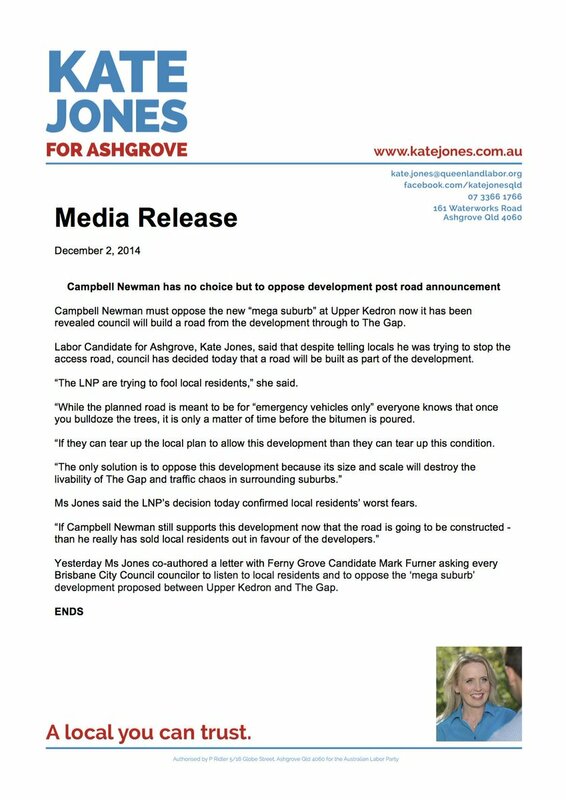 The development isn't in The Gap, it is in Upper Kedron and at quite a distance too. In European cities, greenfields development is often 6-8 storey is the DEFAULT building type. Also more efficient as heating and cooling can be centralised rather than each apartment/house having their own standalone aircon/heater. Yet more unsustainable urban sprawl, with likely little to no public transport provision. I see Kate is hiding her ALP affiliation again. Well at least with these changes we'll see a properly resourced 367? Right guys? Shocking service, enough to faint just reading the timetable. This is what happens when one insists on low density development to make it more 'sustainable', you just make it more car dependant and because the bus isn't filling, the CO2 emissions are worse than car. Under bus reform 367 would be extended to terminate at Brookside Interchange. Cedar Woods: BCC's Newest Public Transport Black Hole? 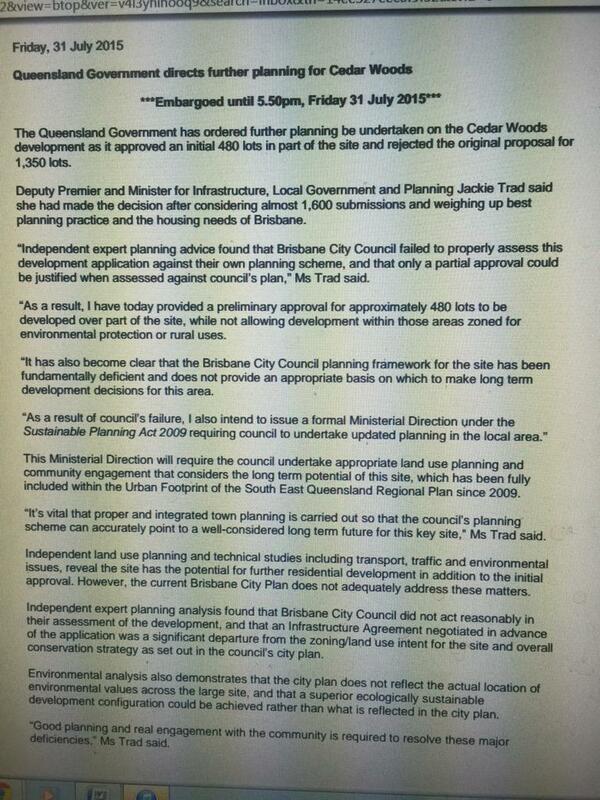 Brisbane City Council looks set to affirm Cedar Woods as Brisbane’s newest public transport black hole. In addition to Brisbane City Council’s lack of decent bus service into the established suburbs of Yeronga, Centenary, Albany Creek, and Bulimba, the development of Cedar Woods at Upper Kedron looks likely to join the public transport black hole list. TransLink’s minimum density for the most basic bus service is around 7 dwellings per hectare. Lowering density to a level where bus services are not viable so that the development is 100% car dependent makes the proposed suburb less not more, environmentally sustainable. The lack of road connection from The Gap also means that high frequency bus services BUZ 385 can never ever be extended into the development. How does this improve sustainability or environmental outcomes? "The plan originally asked for 15 dwellings per hectare. However that was reduced to 7.5 dwellings per hectare at the meeting, still over the five dwellings per hectare set out in the local plan." Will the local road network within the Cedar Woods development feature anti-public transport devices and a street layout making it impossible for buses, and other heavy and emergency vehicles to quickly and directly service the suburb? Just look around some of the newer ' developments ' - transport nightmares! Bus services need a basic density to be viable and a higher density to justify turn up and go service. Buses also need to be able to access the road network. People are entitled to low density housing (not all of us want to live in a shoe box, especially if you have kids and you want them to play outside with trees and grass and not infront of the simulated world). Sure. But that would only be an argument for building more of them if we didn't have plenty of them already. And we do. Most of Brisbane lives in transit hostile, low density suburbia because that is all that is available. And while I'm confident that Brisbane has very few people forced into an apartment because they can't find a house, I'm even surer that many (not all, but many) of us would love to live in higher density, more activated and vibrant neighbourhoods, living more locally and using PT for the shear convenience of not having to drive. But we've got Nimby's and the housing shortage to thank for keeping us out in the low density 'burbs. This development isn't going to be as bad as Caboolture West or Yarrabilba but due to the already congested road network in the area it is completely inappropriate. The argument that we should only be building low density housing because that is what young families want annoys me. First of all families with young children only make up a small percentage of the total population and secondly these new houses don't have backyards anyway. I hope a busway is included in this development. I reckon they could extend the Gap BUZ via a set of bus bollards. Nah, to Samford along the Samford Bypass corridor! Get everyone in for the $10 steaks at the Samford pub on Wednesdays! Townhouses banned? A bit heavy handed! The planned suburb – between Upper Kedron and The Gap – will be built on about 227 hectares of cattle scrub and bushland, at a density of about 7.5 dwellings per hectare, almost half the density of the original plan. There you go, Cedar Woods is officially Brisbane's newest no-public transport black hole! Cedar woods or Cedar Car Park? The Gap is at the Bottom, the cleared patch area at the lower left is the location for the site IIRC. Cedar Creek appears in the map. As you can see, it is a large isolated pocket. This area is going to be a real black hole, car only access and if you are old, too young. can't afford a car, you will have real problems. Hills also make it less suitable for other modes like bicycles. "Public Transport is important for al communities. While the area already has excellent public transport access, additional bus services to support new residents will provide a good alternative to car travel and reduce traffic impacts. We are working with the State Government to address this in the event that the project is approved." 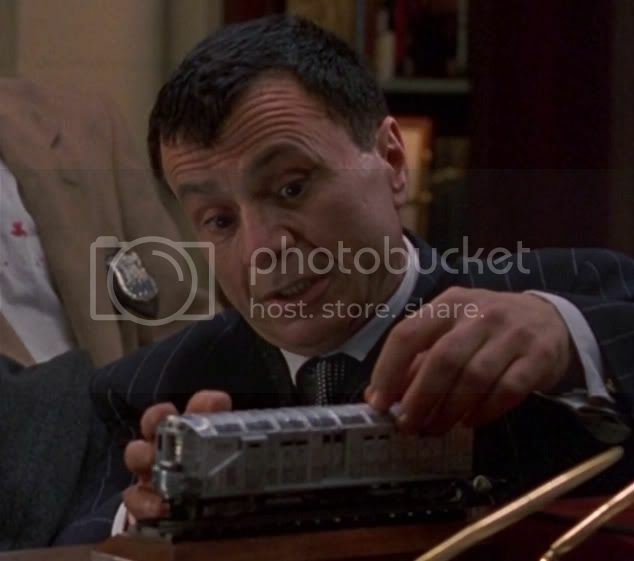 AHAHAHAHA, pull the other one!! * Without a road connection to The Gap, The Gap BUZ services can NEVER EVER be extended into the development, EVER. * BCC cut the density in half to 7.5 dwellings/ha. What this means is that it will be 100% car dependant from day #1 and the density it far too low to support anything other more than one bus per hour stopping at 6pm with no service on weekends. Let there be no mistake. Lowering density makes the development MORE environmentally UNfriendly and UNsustainable. +1 BCC's own policies/decisions are creating the problems they believe their policies/decisions are fixing! Arrrrrrrrrrrrrrrrrr!!!!!!! "While the area already has excellent public transport access"
The Queensland Government will consider a ministerial ‘call in’ of the proposed Cedar Woods development at Upper Kedron in Brisbane. Deputy Premier and Minister for Infrastructure, Local Government and Planning Jackie Trad, said she was using her powers under the Sustainable Planning Act 2009 to issue a proposed ‘call in’ notice for the Cedar Woods development application. “Today I have notified all parties – the developers and the community – that I am considering a ‘call-in’ for the proposed Cedar Woods development,” Ms Trad said. “This issue was raised during the election campaign with the community raising concerns around traffic impacts and whether the development is in accordance with Brisbane City Council’s planning scheme—City Plan 2014. “We made a commitment to listen to the community and this proposed call in notice will provide an opportunity for all stakeholders to have their say. “I want all parties to know that this decision will be made on planning merit not politics. “Brisbane City Council approved the development on 11 December 2014 which consists of 780 lots with the potential for 200 lots based on a future potential road connection to Ross Road. 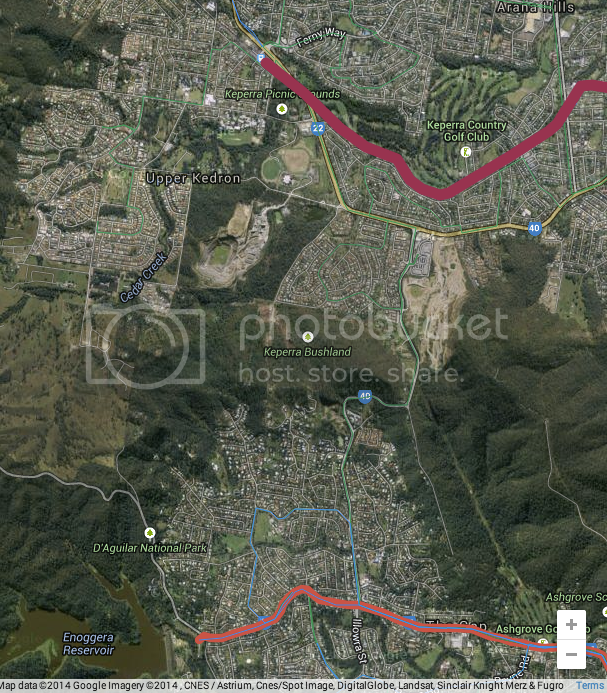 “The development is a significant subdivision on undeveloped and constrained land adjoining the Brisbane Forest Park. “For this reason, I consider that this development could potentially affect economic and environmental state interests of this part of the State. “I also note that council’s decision is a departure from its planning scheme, which was only adopted in 2014. “As the Minister for Planning and Infrastructure, I want to ensure that there is an efficient, effective and accountable planning and development assessment system, which is also a state interest. “All relevant parties now have 20 business days to have their say on whether the development should be called in,” Ms Trad said. The closing date for submissions is 30 March 2015. The Deputy Premier and Minister for Infrastructure, Local Government and Planning is required to make a decision on whether to call in the development by 29 April 2015. The density is just far too low. 7.5 dwellings/ha = cartopia. The Queensland Government has called-in the proposed Upper Kedron master planned community for re-assessment. In making the decision, the Deputy Premier and Minister for Infrastructure, Local Government and Planning, Jackie Trad, said the development needed to strike a careful balance. “I will reassess this development application to ensure the right balance is achieved for the environment, the economy and the concerns of the local communities,” said Ms Trad. “The proposed development involves state interests relating to the economy and environment, the South East Queensland Regional Plan 2009-2031, and ensuring that there is an efficient, effective and accountable planning and development assessment system,” said Ms Trad. The site encompassing Brompton Road, Ross Road and Levitt Road, Upper Kedron, covers more than 226 hectares. The current plans propose that 40 per cent of the development will be for recreation and conservation purposes. The Deputy Premier’s decision on the called in development application will be due in late June 2015. Well I sure hope so! The development isn't even in The Gap! But will it by last century planning or 21st century planning. I suspect the former!! Cedar Woods: Brisbane's Newest Public Transport Black Hole? We observe the density for the proposed Cedar Woods development is to be just 7.5 dwellings/ha. This density is simply far too low to support any bus service that would be competitive with cars. All residents would be forced to use cars out of necessity. Without a road or bus-only connection between Mt Nebo Road and the development, high frequency BUZ 385 will never ever be able to extend into the development site, permanently locking the development into car-only use. Bus only access can be enforced with sump-busters. The 7.5 dwellings/ha is actually lower than the absolute lowest density case study in the Residential Form Handbook issued by Brisbane City Council and The Queensland Government. For example, a duplex has a site density of 38 dwellings/ha. The Handbook has a number of examples - Varsity Lakes for example is around 15 dwellings/ha. The Refinery Development at New Farm has a density of 32 dwellings/ha. Houses in Springfield have a density of 33 dwellings/ha. By any measure, the Cedar Woods development is too low density to be environmentally sustainable and will be Brisbane's newest public transport black hole with car dependent chaos. I do believe the practice of releasing unsavoury information late on Friday is called "taking out the trash".